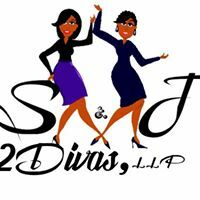 SnJ 2 Diva’s, LLP is proud to present and invites you to participate in one the most unique bridal expos of the year! The 2019 tour begins in Miami then we're back home in Columbia, SC and more cities will be added by the holiday's. Every Bride and Groom has a vision of their perfect day. Professionals who specialize in wedding related services and goods will make this vision come true and preserve the memories forever! Commit - to the bridal expo by registering today. Build your brand - grow your business. Connect - with the couples to ensure your special service is best for them. Ensure you understand their request(s) and that you can provide this request. Network with the other wedding specialist to truly gain a positive ROI. Create - the perfect element of the couples wedding according to your specialty, thereby creating special memories that will last a life-time! Please join us in the city nearest your service area or region. You hold the key to a 'positive' return on your investment. Be counted in the 125+ vendors Brides & Grooms will interact with on-site. Elite Booth Space (prime entry location) & Regular Booth Space available for a limited time. Be prepared to present your services and goods as well as book on-site appointments. If you are interested in displaying your services and networking at the 2019 Perfect Harmony Ethnic Bridal Expo, one of the only local and regional expo blending our ethnic culture with customary bridal traditions, then register today. - Lunch is provided to all registered vendors. "A Style All Our Own"